Habitat for Humanity dedicated its latest house to the Komp family, amid many of the dedicated volunteers who have helped with the building. 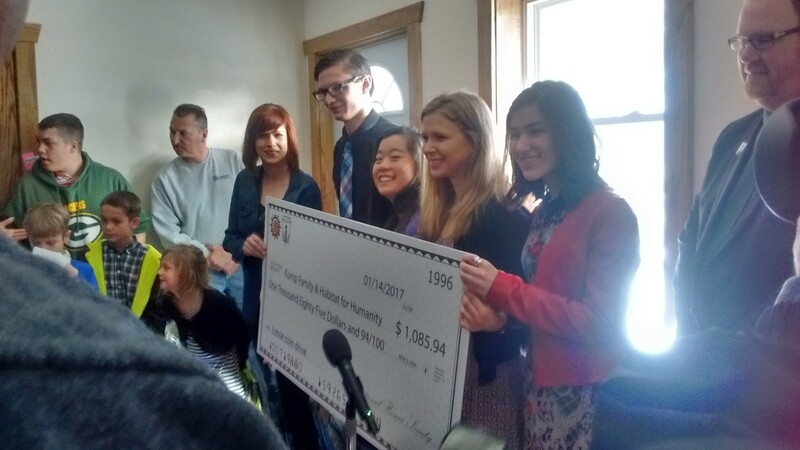 In addition to the home, the Komp family received a check of $1,085.94, which was raised by the West Bend East National Honor Society through a holiday loose-coin drive. The family was also each gifted a quilt from Our Savior’s Lutheran Church, and a prayer afghan from St. Luke’s Lutheran Church of Slinger. 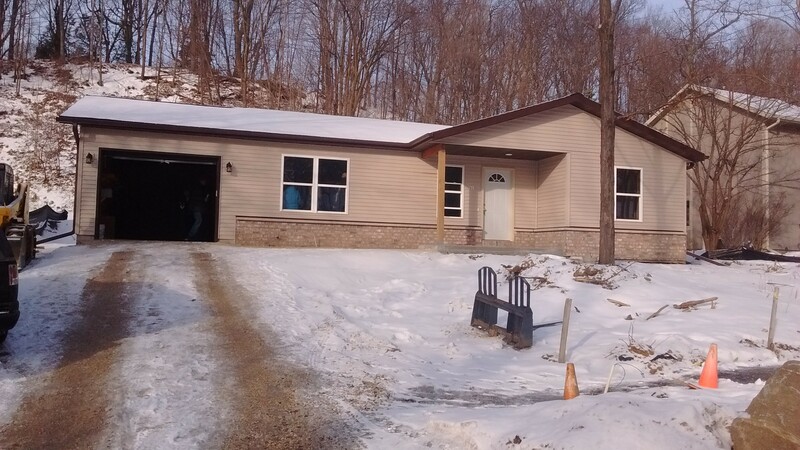 Scott Korn, the lead site supervisor, feels the Komps’ new home marks a positive turning point for the family. Jessica is a solid reporter for someone so young. She’s enthusiastic about tackling a story, she brings her own ideas to the table and she’s very good at following direction. It’s rare to meet someone who is open to constructive criticism. I’m eager to see more of Jessica Steger’s work. Nice job.